← Here we grow again! We’re hiring a Project Manager in Richmond Hill. 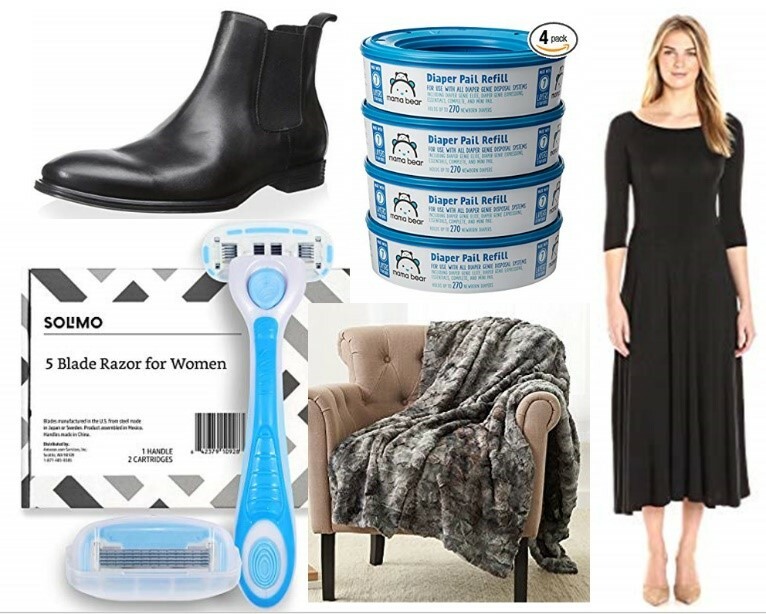 What do these products have in common – leather shoes, razors, dresses, throw blankets, and diaper pail bags? They are all Amazon products. Not simply products sold by Amazon, but products made and sold by Amazon. More importantly, they don’t carry brand names like ‘AmazonBasics’ or ‘Amazon Essentials.’ Each product has its own unique brand name, just as any traditional competitive brand does. From food, clothing, home care, personal care, pet care, and more, Amazon now produces its own private label brands in a wide range of categories. Their path to this venture was easily grounded in the petabytes of purchase data they’ve gathered over 24 years for brands and products that people bought from Amazon. As a marketplace representing nearly every possible consumer and B2B industry, their data told them which products, colours, sizes, styles, models, and quantities were most popular. They have trustworthy data to identify which products sell better in which regions and with which types of people. Now, they simply need to harvest that data to create their own successful private label brands. It means brands needs to do an even better job of understanding their consumers through surveys, mystery shops, focus groups, and interviews. In this era of instantly available, digital transactional data, brands can no longer wait afford to wait for monthly or quarterly sales reports to learn which products and SKUs their consumer are choosing. Brands need in-depth information from their customers and potential customers on a daily basis. They need to understand the decision-making processes of their customer today. What other products were they exposed to? What other products caught their attention? Do their customers care about private label brands? Given the category, why would their customer choose a private label brand over their brand? What would convince a switcher to revert back from a private label brand? Brands also need to do a better job of reminding people why they chose their brand to begin with. Was it because of higher quality? Increased social responsibility? Better accessibility? Or simply availability or price? Once brands have a firm grasp on what differentiated their brand in the first place, they can ensure that people continue to recognize and appreciate that differentiation. It’s estimated that Amazon’s private label sales will reach $7.5 billion this year and $25 billion by 2022. Does your brand have the information it needs to be a successful competitor? This entry was posted in Market Research and tagged customer, data collection, fieldwork, focus group, IDI, innovation, panel. Bookmark the permalink.